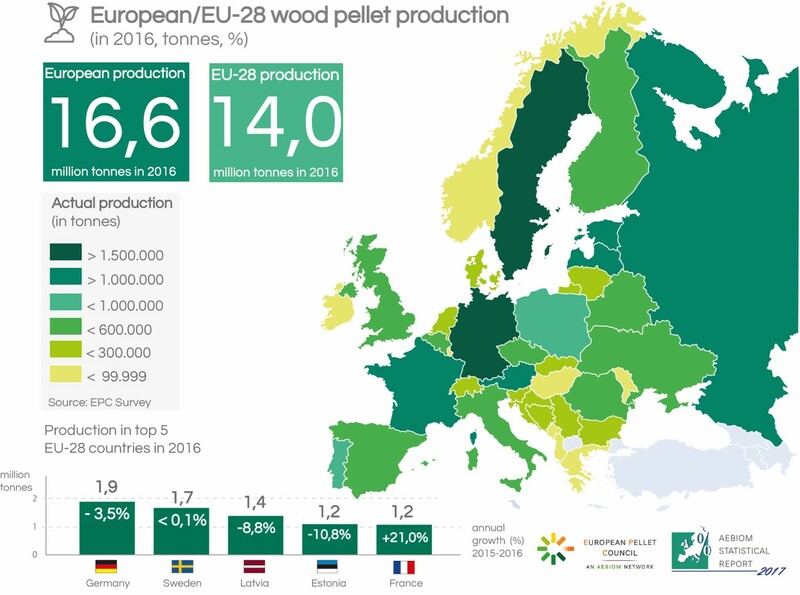 With 16,6 million tonnes of pellets produced in 2016, Europe is the largest producer in the world amounting to nearly 57% of global production. With 14,0 million tonnes, the EU28 itself accounts for 48%. After showing a continuous expansion over the last years, actual European production stagnated in 2016 with a growth of only 1% (the EU28 observed a slight decrease of 0,4%).